This property is available on Home Reach. Here you can buy the 50% share price shown and pay a low monthly rent on the 50% you don’t buy. Eligibility criteria apply. 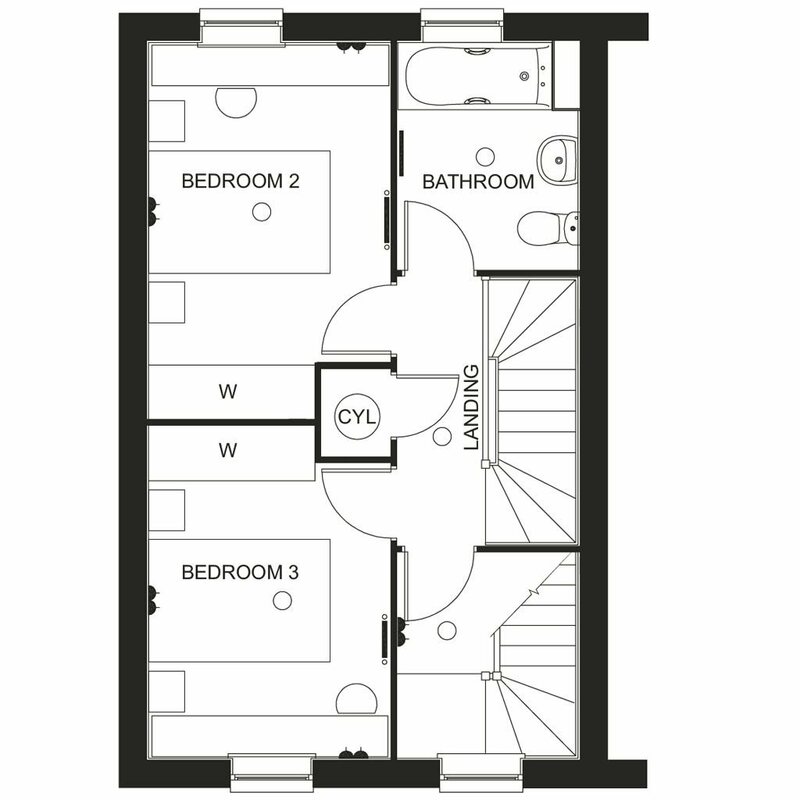 The Kennett is a great choice for couples and young families with three spacious bedrooms set over three floors. 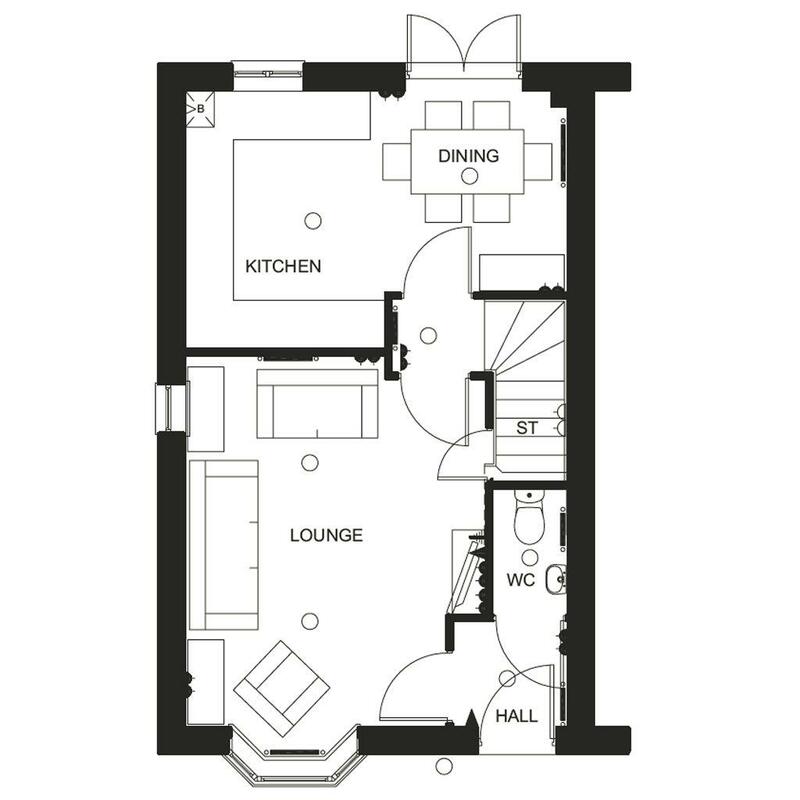 On the ground floor you will find a generous dining kitchen with French doors flowing to the rear garden. 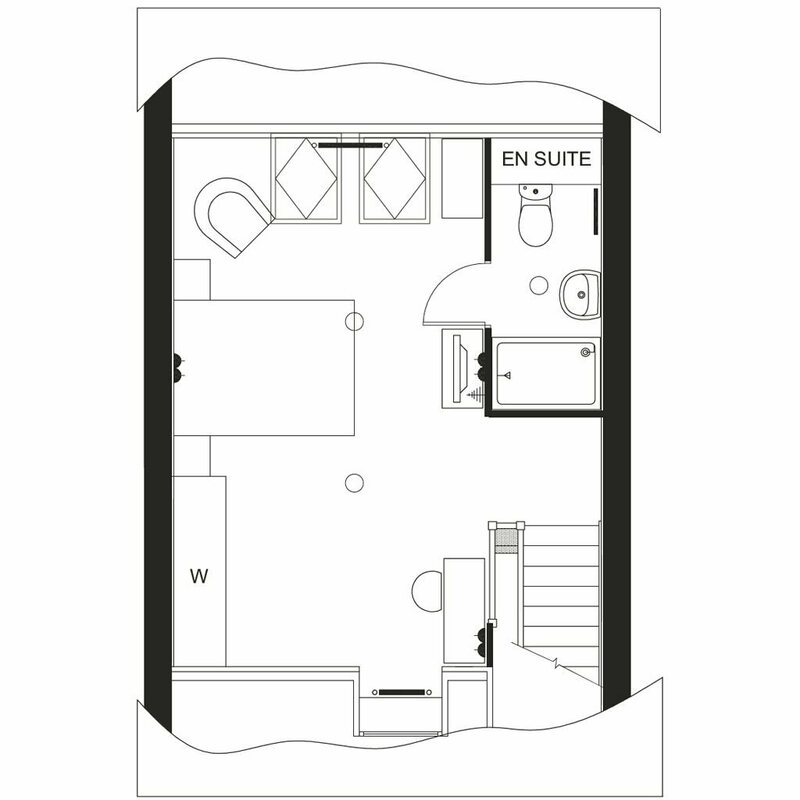 Upstairs, there are two double bedrooms and a family bathroom, with the spacious, master suite with en suite at the top of the house. 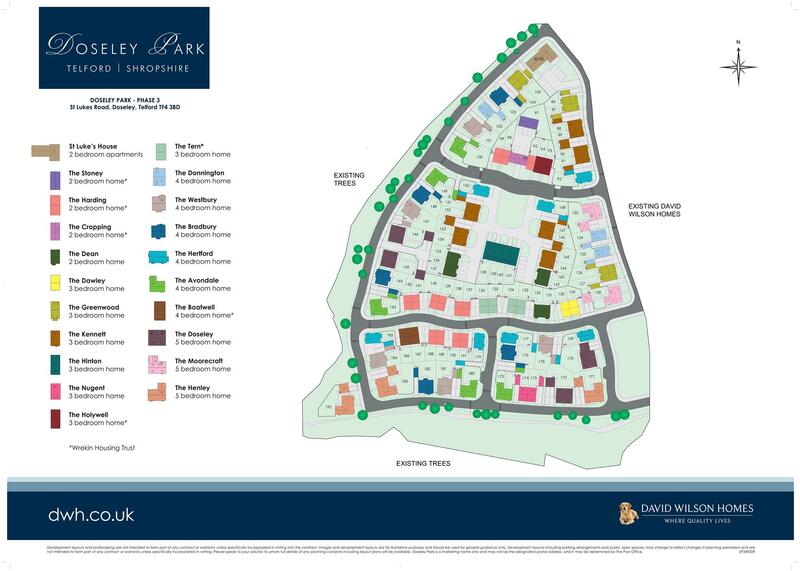 Discover our lovely range of two to five bedroom homes at Doseley Park, in the peaceful village of Doseley. Built around a 'Garden City' design, you'll fall in love with our beautiful landscaping and woodland surroundings. It's really something special. A bus stop outside takes you directly into Telford. And the M54 provides easy access to Birmingham, Wolverhampton and Shrewsbury. Join our happy buyers and find out why 100% of our customer's would recommend us. Shared ownership homes available with Home Reach - see below for details. Both Telford and Shrewsbury have numerous bars, restaurants and cafés to enjoy, or head to one of the theatres, art galleries or museums such as Shrewsbury. Take a stroll in the rolling countryside of the Shropshire Hills or enjoy one of the many cycle routes nearby. There are plenty of attractions to keep the youngsters occupied - Telford Town Park is a 450 acre park with cycle trails and play equipment while the town also has an ice rink and cinema. There are four excellent primary schools - Captain Webb, Lightmoor Village, Dawley CofE and Aqueduct primary schools all located close by. Three secondary schools - Phoenix School, The Madeley Academy and Thomas Telford School all provide an excellent level of secondary education. Telford Shopping Centre houses over 160 stores, bars, cafés and restaurants while a variety of shops can also be found in the medieval market town of Shrewsbury where, among the narrow streets and alleyways, you will find a mix of high street and independent retailers. Reach the M54 just 3 miles away which provides access to the M6 and the A5 leading to Birmingham to the east and Shrewsbury to the west. There are also several major routes including the A518, A458 and A442 which connect to many of the towns in the area. Telford Train Station is less than a mile away and provides excellent connections to Birmingham and London. Dawley Medical Practice and Trinity Healthcare Centre nearby each provide day-to-day medical assistance. For more urgent medical attention visit The Princess Royal Hospital located just a short drive away. M54 J4 towards Dawley. Continue over the first roundabout, then take the 4th exit at the second roundabout staying on the B5072. Go straight over at the next roundabout and then take the first exit at the following roundabout and the third exit on the next, staying on the B4373. At the following roundabout take the second exit then continue along the B4373 and take the second right hand turn onto Doseley Road. Follow the road until you reach a T junction and turn left onto St Luke's Road. Doseley Park will be on your left. 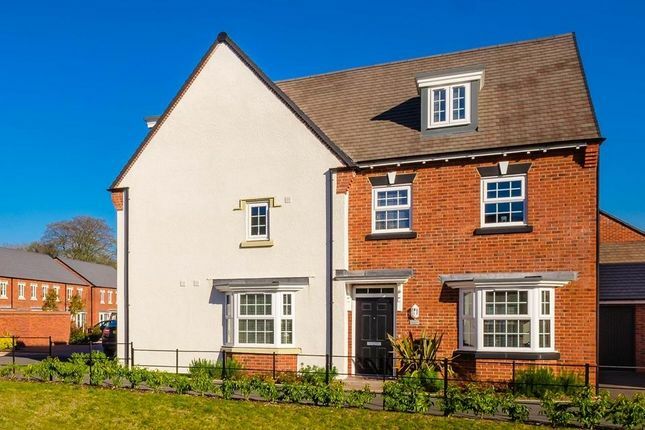 Property descriptions and related information displayed on this page, with the exclusion of Running Costs data, are marketing materials provided by David Wilson Homes - Doseley Park, and do not constitute property particulars. Please contact David Wilson Homes - Doseley Park for full details and further information. The Running Costs data displayed on this page are provided by SmartNewHomes to give an indication of potential running costs based on various data sources. SmartNewHomes does not warrant or accept any responsibility for the accuracy or completeness of the property descriptions, related information or Running Costs data provided here.